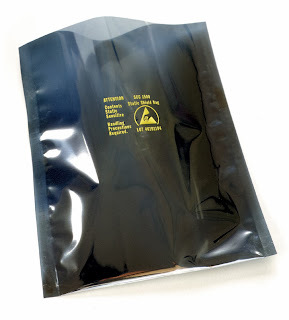 3M has removed their SCC 1500 Metal-out Static Shielding Bags from shipping-hold. After detailed testing, 3M believes the higher-than-claimed charge-retention values were due to a certain film used in the production of the 1500 Static Shielding Bags. 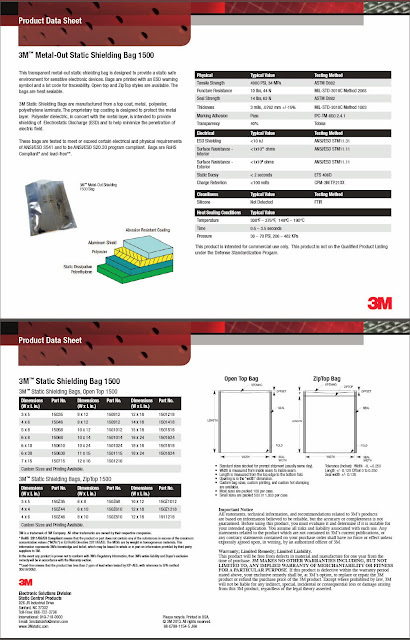 3M announced yesterday that their 3M™ SCC 1500 Metal-out Static Shielding Bags have been placed on shipping-hold. Recent testing indicated that the SCC 1500 Bags had an average peak voltage reading higher than their claimed value leading 3M to stop shipment as of November 22, 2013. The 3M SCC 1500 Metal-out Static Shielding Bag has been put on shipping-hold. Charge-retention testing of the SCC 1500 product resulted in an average peak voltage of 154 rather than the less than 100 volts expected. 3M is currently performing more extensive analyses of the SCC 1500 Static Shielding Bags and associated manufacturing practices. The bags will remain on hold until all testing is completed. Q Source will provide periodic updates regarding the ship-hold and any pertinent action that may be required. 3M advises that SCC 1500 users closely examine this information and come to a conclusion regarding the appropriateness of this product for their applications. For metal-out alternatives to the SCC 1500, please see the 2110R Series Puncture Resistant Metal-Out Static Shielding Bag and the 2120R Series Metal-Out Cushioned Static Shielding Bag. Our 3M Metal-Out Bags Department at QSource.com offers additional metal-out options. 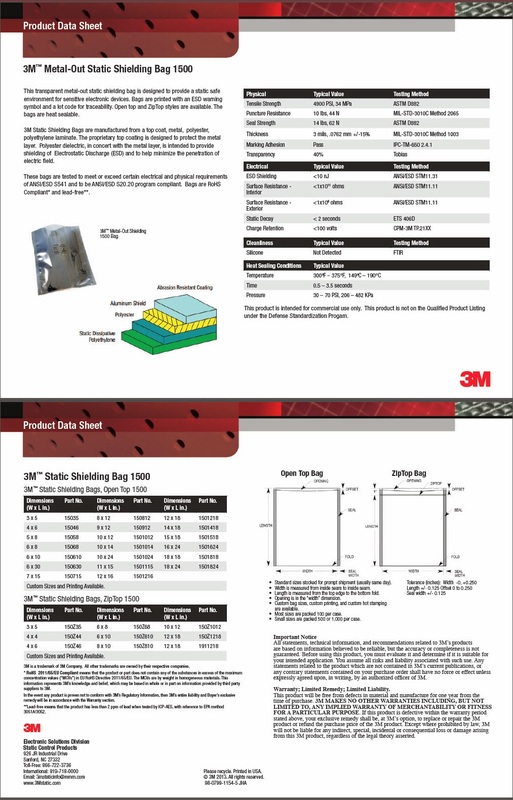 If you have further questions about the SCC 1500 or other 3M Static Shielding Bags, please give us a call at 800-966-6020 or contact us via email. If there's a product or topic you'd like to see The Q Source Resource write about please let us know. We'd also appreciate if you would share this important information with your friends and colleagues via the social media links below. If you have questions or comments about the 3M SCC 1500 or related products please leave us a message in the comments section.